Twin Power announced the addition of 4.25 in. Big Bore Cylinders for M8 models to its product line. 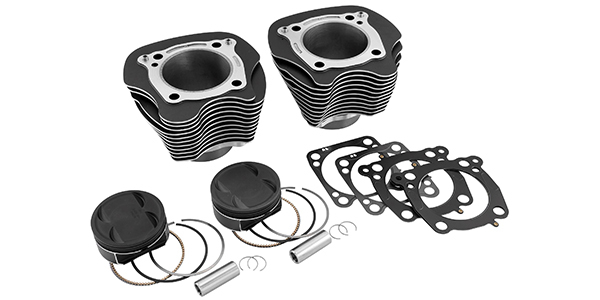 Twin Power is known for its high-quality parts and accessories designed for the American V-Twin enthusiast. Twin Power M8 Big Bore cylinders are factory fitted for the popular Wiseco Black Edition pistons. When combined with Twin Power gaskets, a 107 cubic inch engine can be converted to 124 cubic inches and a 114 cubic inch to 128 cubic inches. This is strictly a bolt-on kit, as the special gaskets eliminate the need to weld or otherwise modify oil or water passages. Machining of the crankcase is also not required. (*note: It is the engine builder’s responsibility to check and verify all clearances before assembling.) 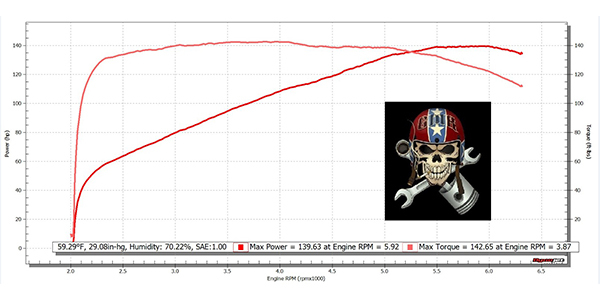 Gasket kits are available with either .030 in. or .040 in. thick head gaskets based on the builder’s preference. The cylinders are offered in a factory style black textured powder coat finish with highlighted fins. Cast-in iron liners ensure strength, durability and quiet operation. Cylinders are sold in pairs and include cylinder head dowels.